If you’ve ever tried to start something new, be it a new routine, a new habit or a new business, you’ve probably encountered an obstacle or two. Very few roads to something new are ever completely smooth, and part of the fun is finding ways to circumvent the challenges that might keep you from meeting your goal. Nothing worth while happens without effort, and we know adding sublimation to your business will be very worth while. 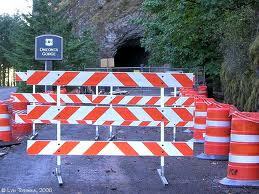 We also know that there may be some barriers standing in your way. Today I wanted to make some suggestions for circumventing some of the most common challenges. Challenge 1 – I don’t know what sort of system to buy – First you need to answer some basic questions. Do you want to decorate cotton garments? Then you need a ChromaBlast system. Are you more interested in creating colorful mugs and mousepads and flip flops? In those cases, you best bet would be a sublimation system. Once you’ve decided what sort of products you want to decorate, you just need to figure out what the biggest thing you would ever want to print would be. This will help you zero in on the type of printer and heat press that will be right for you. Challenge 2 – I don’t know where to find customers for my new business – Sawgrass offers webinars about finding new customers. We offer tips on this blog about finding new customers for your sublimation or ChromaBlast business. Most communities have a Chamber of Commerce which is generally eager and happy to help new businesses get established. Twitter and Facebook can be great places to find customers online. Sometimes finding new customers is as simple as wearing your work and handing out business cards. If you get the word out about what you can do, and keep putting it out there, customers weill come. Challenge 3 – I don’t know anyone else who does sublimation – Having a mentor or someone you can call on when you have a question or a problem is a great comfort. If you’re looking for a community of people who already sublimate, two great places to check out are the T-shirt Forums and the Apparel Decorators Forum. Both forums contain a lot of helpful sublimation information and have members that are ready and eager to answer questions. Also, keep in mind that, should you purchase your system or supplies from EnMart, you’ll also have us in your corner. We’ve been working with sublimation and sublimation inks since the late 90s, and we’re always happy to share what we know with our customers. Adding sublimation to your existing business, or starting up a new business centered around sublimation or ChromaBlast can be done for a relatively small investment, and the rewards can be quite large. If you’re thinking about setting up a sublimation or ChromaBlast business of your own, but have encountered a few barriers to getting things going, give us a call. We’ll be glad to help you remove those barriers and get further down the road to sublimation or ChromaBlast success.